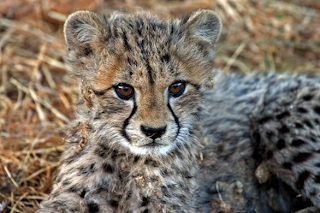 A video of the cutest little Cheetah Cub playing with it's blanket! The King Cheetah is an extremely rare, regal and strikingly beautiful animal. At one time it was considered to be a separate subspecies. Main difference between our King Cheetah and the normal standard spotted Cheetah is that its coat pattern differs distinctively. 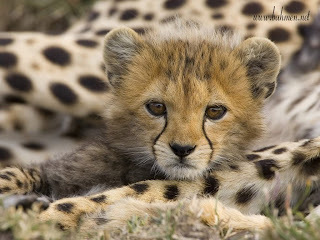 The standard Cheetah's coat is generally a yellow or golden color with a circular spotted pattern of small black markings. 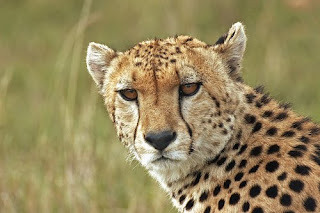 The King Cheetah has spots that run together to form several (usually three) black stripes down its back from the crest of its neck to the top of the tail. 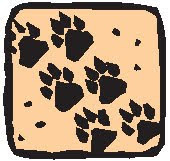 They also sport dark patch shaped markings, irregular in size and shape along their sides and flanks. 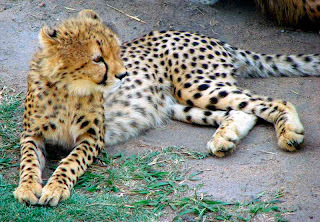 There are estimated to be less than ten king cheetah living in the wild and the total world population is around 60 animals. 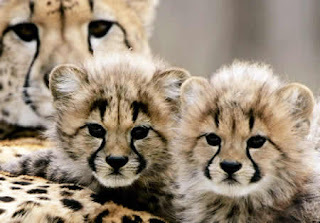 Most of the ones in captivity were bred at the De Wildt Cheetah Centre in South Africa which has been very successful in raising them. 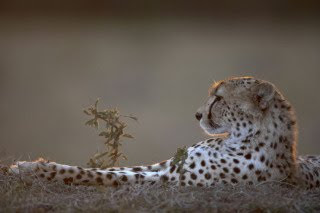 Are King Cheetah Pictures on Safari Possible? Possible, but highly unlikely. The animal was regarded as a myth because it was seen so infrequently and between 1926 when it was first reported in Zimbabwe and 1975 when the first ever photograph was taken of one in the Kruger National Park there were only five reported sightings. Your best bet of seeing one in the wild would seem to be the Timbavati area of the Kruger Park but you could drive around for a very long time and never find it. In captivity the best place to see them is at the De Wildt centre where there are a number of them and they have been so successful with the breeding program that several have been exported to zoos worldwide. 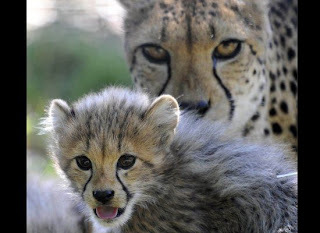 The birth of a king cheetah at the centre in 1981 to normal parents put paid to theories that it was a separate subspecies and launched the breeding program that contributed to the majority of the worlds population of king cheetah being descendants of the De Wildt cats. 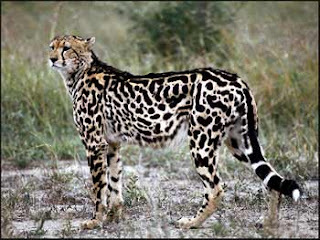 The unique coat pattern is as a result of a recessive gene mutation similar to that of the black leopard which needs to be present in both parents. 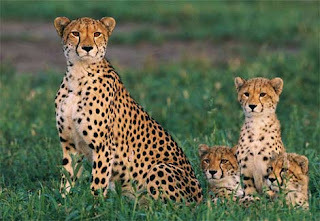 Here's some Cheetah Video to check out..